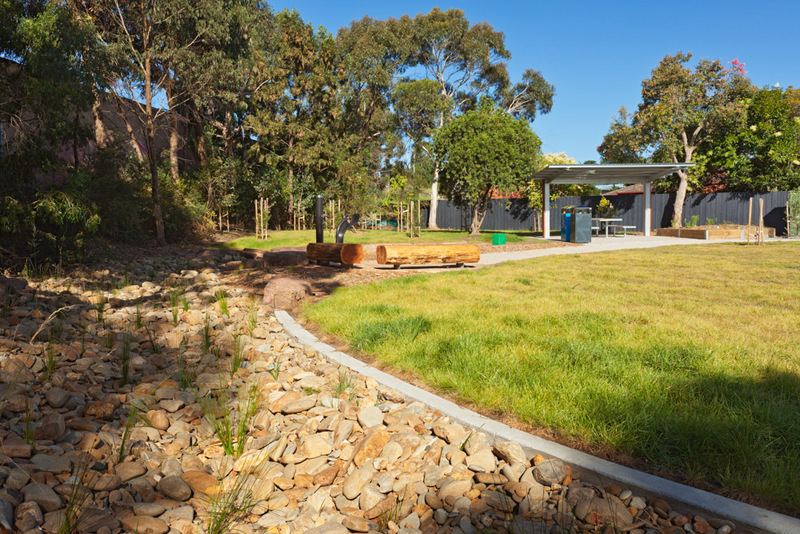 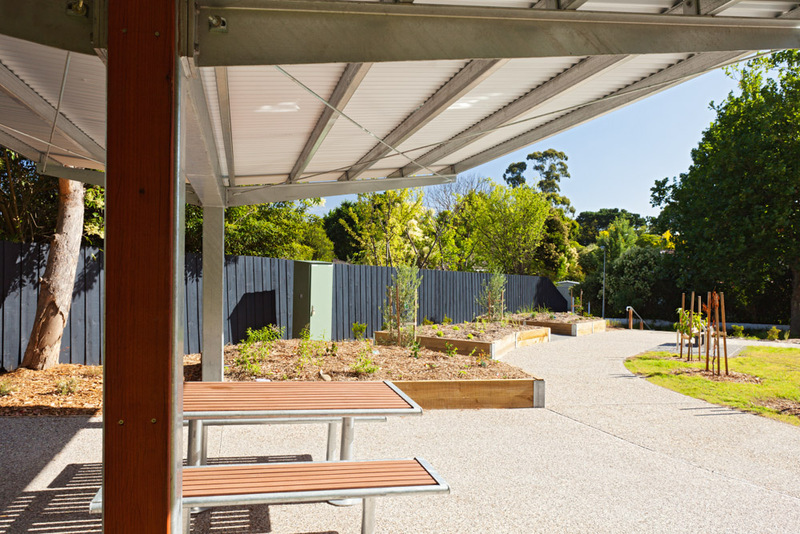 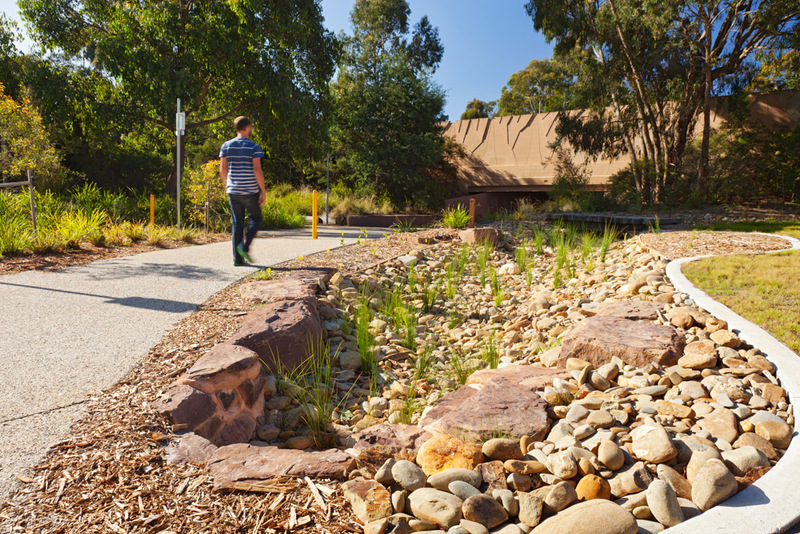 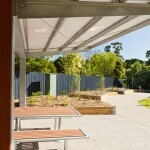 The design of this community park in Larissa Avenue, Ringwood encompassed streetscape improvements, shared path links and stormwater management and filtration. 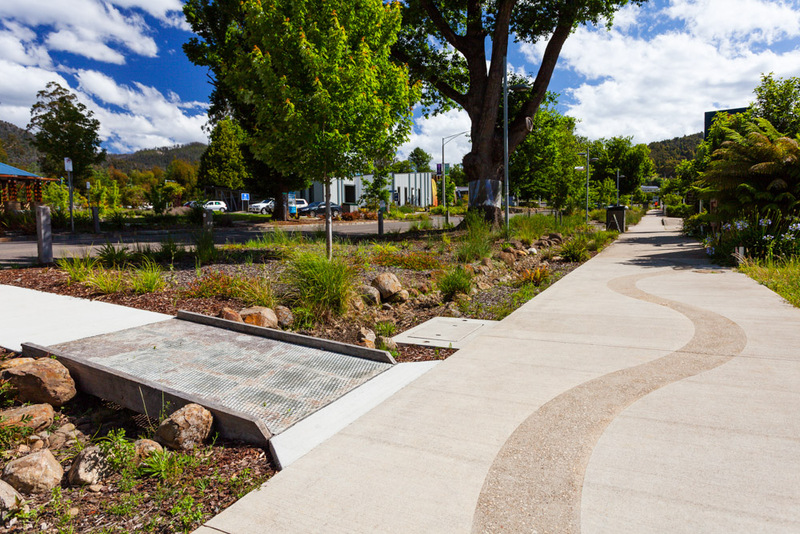 Working with Aquatic Systems Management, Urban Initiatives embedded raingardens, bio-swales, and porous pavements into the streetscape. 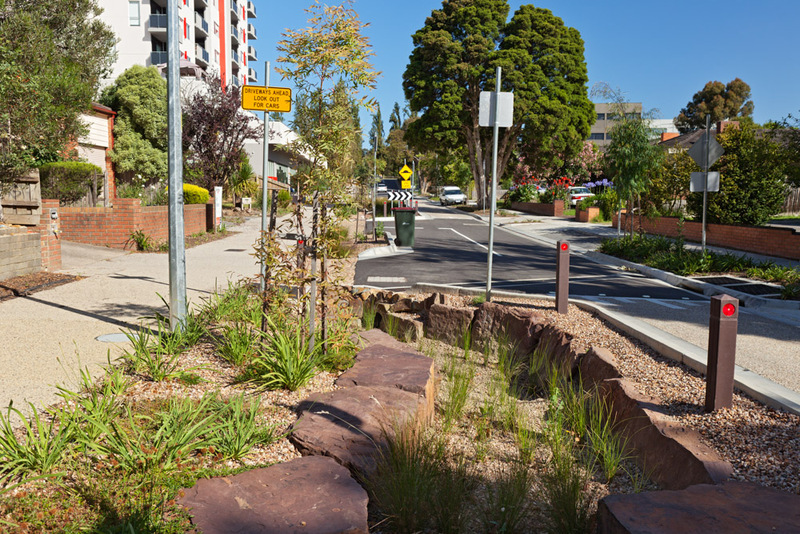 These measures have improved the quality of road runoff entering the creek, helped control overland flows and reduced flooding. 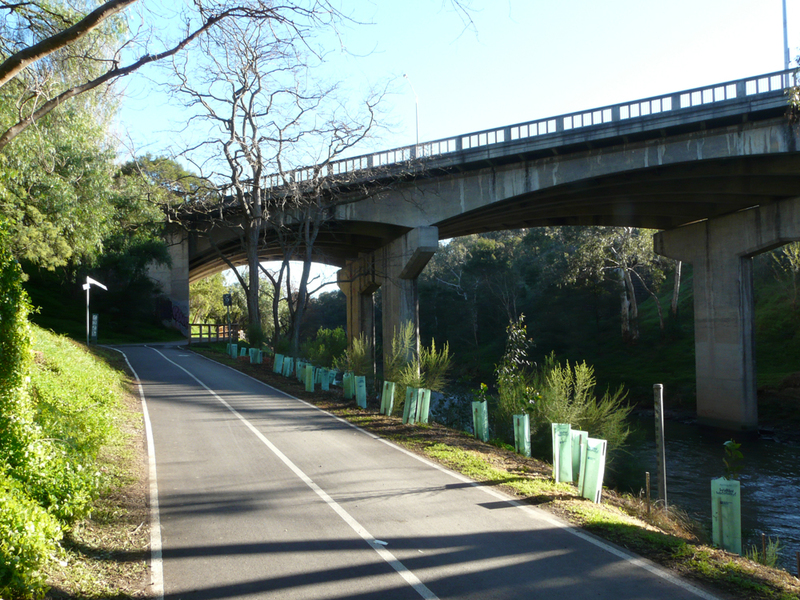 Powerlines in the street were relaid underground and strategic traffic management measures implemented to ensure a safe environment for pedestrians and cyclists. 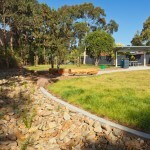 The park was designed in consultation with local residents, including those in the nearby housing co-operative who did not have their own gardens. 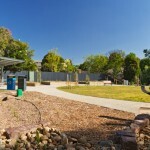 It includes a community garden with bush foods, perennial herbs, and fruit trees. 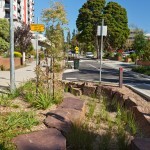 All edible plants are irrigated from the large underground tank that captures and treats the stormwater. 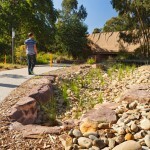 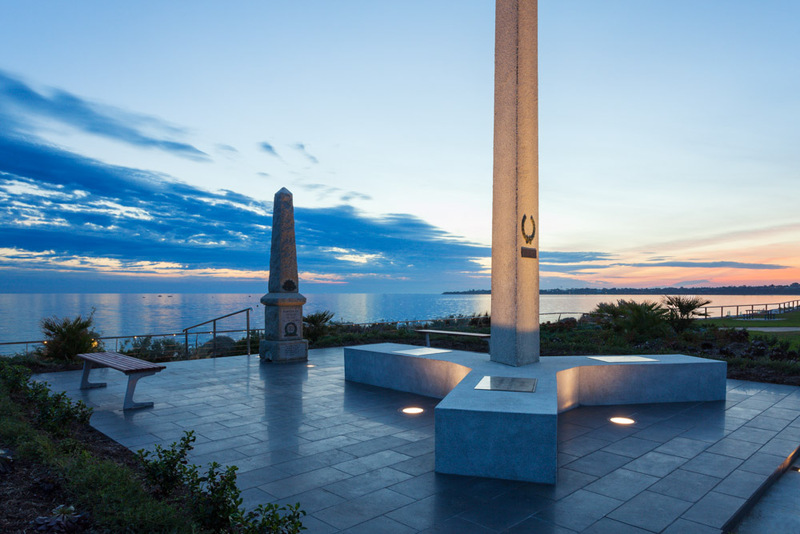 The project qualified for Melbourne Water funding, and was completed in 2011.